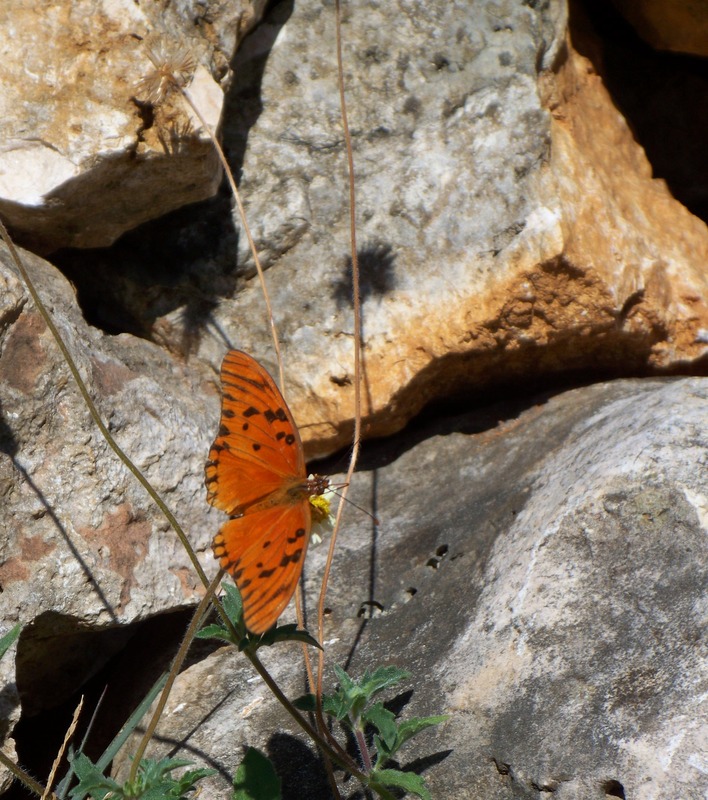 The Tropical Silverspot Gulf Fritillary is one of the many species of butterflies living in Jamaica. Today, finally! one of them paused long enough for me to get a snap shot of it. This is it feeding on a Spanish needle flower. The sun is beaming down on it wings transforming it into a paler colour. What we see is its underbelly. This is it true colour. 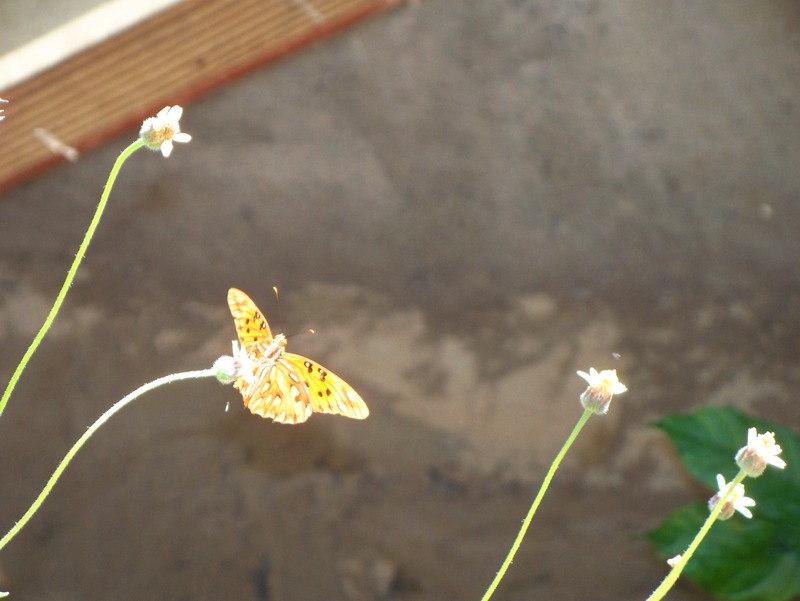 I see many other species of Jamaican butterflies in my yard, I will patiently wait and take more photos of them in the days ahead.